My First Love 2 Members Like This Post! 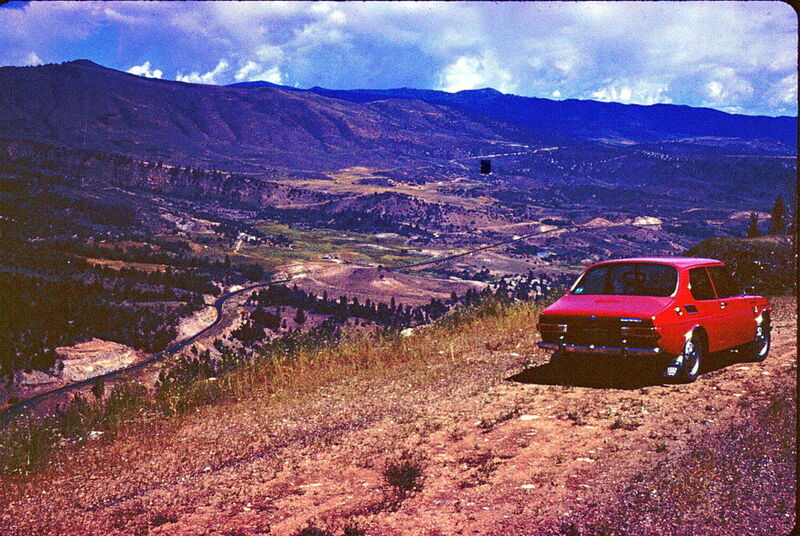 In 1971, while I was living in Boulder, CO I was in the market for a new car to replace my ’62 Olds Cutless. Motor Trend had just named the Chevy Vega “car of the year” (can you believe it), so off I went to the local Chevrolet dealer to have a look. The salesman treated me coldly, so I marked that one off my list. Then I considered a Toyota wagon or VW Squareback and would have bought one had they had a little more room inside. A friend of mine, whose life was centered around his Porsche 911, recommended that I consider a Saab. “What?”, I said, “Who wants a car that sounds like a trail bike and belches smoke.” I was remembering one that I saw recently. It had an oil stream down from the gas filler and an oily sock for a gas cap. “No.”, said my friend. “They came out with a new model.” So I decided to have a look for myself and immediately fell in love with it. It had four-wheel disc brakes, free-wheeling, roll-cage construction, and lots of room in the passenger compartment and trunk and it also had electronic fuel injection, which wasn’t readily available on American cars in 1971. The salesman went with me for a test drive and when we returned to the dealership he said, “Why don’t you take it for a spin up Boulder Canyon, and I’ll see you in about an hour?” “What? Alone?”, I remember thinking. At that time Boulder was full of hippies and here I was a clean-cut guy just out of the Army, so I guess he figured he could trust me. I could have bought a Vega or Pinto for around $1700 and the Saab (the demo car with 400 miles on it) was priced at $3600. The credit union would only loan me $3200 and I was the happiest guy in the world when the dealer accepted it. 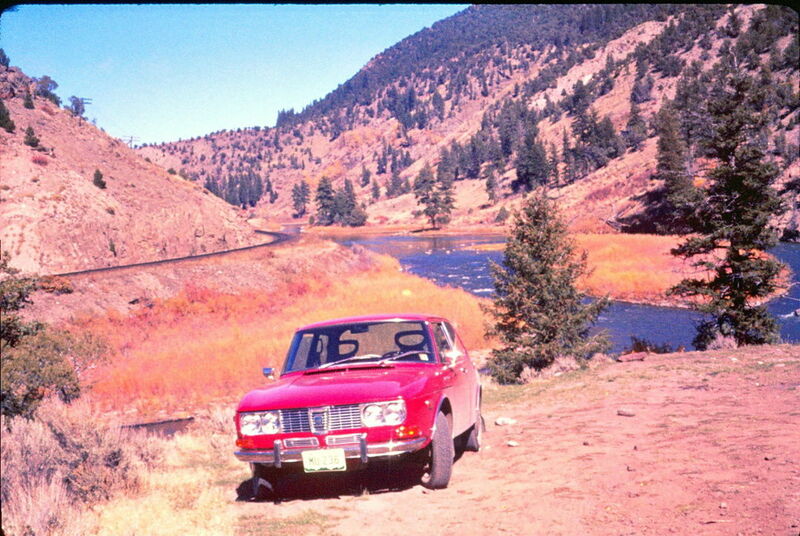 I drove that car for 24 years and had 286,000 miles on it. By that time I was between wives and my daughter told me that it was a “social barrier”, so off I went to the Saab dealer in Edmonds, WA, and bought a 900S which I’m still driving today. BTW, the 900S has 218,000 miles on it and two days ago the original clutch cable broke. Not bad for my second 24 year old Saab. Of course I’ll fix it and keep on driving it until they bury me in it. Hey, those handles above the windows are pallbearer handles, aren’t they?